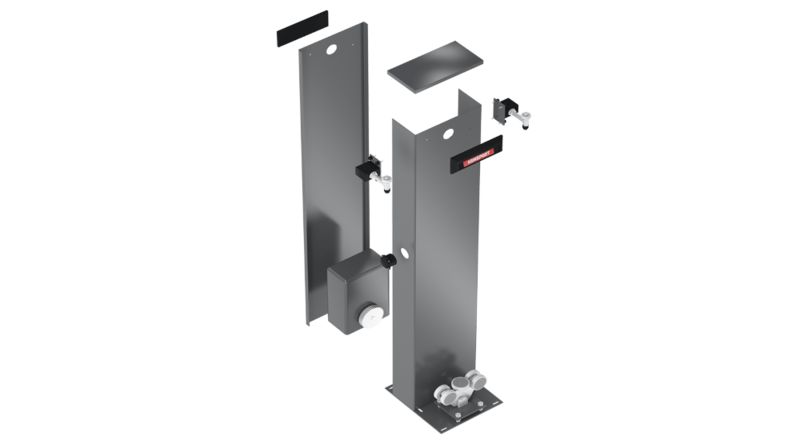 The presented post is not only an interesting solution for automation of your gate -it is also equipped with a number of additional functions, which may turn out to be a new standard. Well-lit passage or the possibility plugging in electrical equipment right next to the gate clearance opening may prove to be very practical solutions for many users. Electrical socket 230V is an additional gadget. Dedicated for most entrance gates. Additional power supply point on the property should be appreciated by all do-it-yourselfers and people taking care of their gardens.